This is the number one and most important rule in freediving, or any time you’re in the water for that matter. The buddy system is very important and should never be disregarded. It’s essential to watch out for each other, learn to safety each other in every dive shallow or deep, and of course everything is always more fun to share with someone or a group of people! You will learn the reasons for never diving alone in the PADI Freediver course. You will learn what your body has the capability of and of course the safety aspect of the sport, which is indispensable. 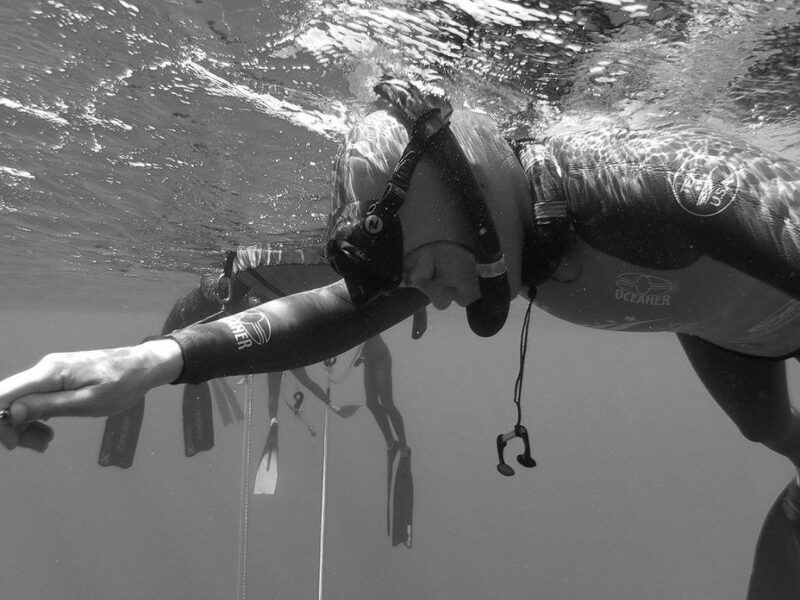 Taking a course will introduce you to the basic elements of the sport in a step by step manner which will build your confidence in freediving. Enjoy the beauty of what surrounds you in the water. It’s like nothing else in this world. You have the ability to stay underwater on one breath of air, so enjoy the silence, peacefulness, and beauty. Joining a school of fish, diving with a pod of dolphins, or simply taking underwater photos, every freediver will live in the moment and feel truly free. Our oceans and shorelines are struggling and they need our help. A good place to start is at your local dive spots. I am a huge advocate for beach and ocean cleanups. My local chapter that I have been involved in for years is Sustainable Coastlines Hawaii. There is also PADI’s Project Aware that has done some amazing things for our oceans and would be great to get involved with as well. Start with yourself, be an advocate for the ocean, and if you see others disrespecting it, educate them. We only get one chance with our oceans and we really need to pay attention and help any way we can. 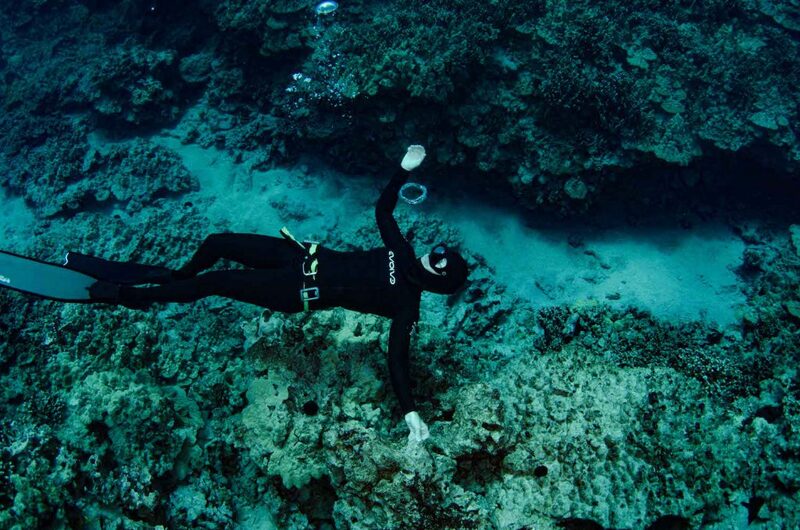 Relaxation is the key to freediving. Deep, slow, calm breaths help lower your heart rate so your body will conserve oxygen. Every tense muscle uses heaps of oxygen and energy. 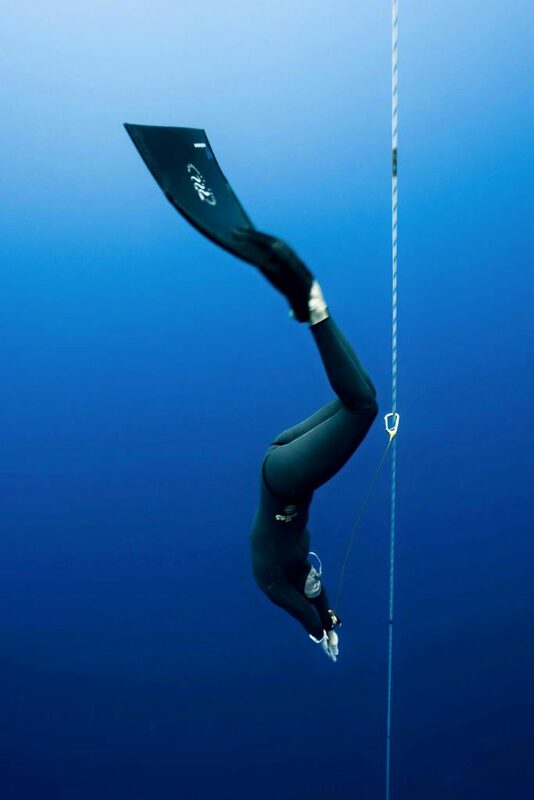 You will learn how to relax your body through different breathing and relaxation techniques in freediving courses and clinics. Some exercises are borrowed from yoga practices, so you may already recognize some of them. A good way to prepare for your dives is with the use of visualization. Visualize happy things and peaceful surroundings and your mind will automatically relax your body and lower your heart rate. Visualization can be used pre dive as well as during your dive. For me, when I am competing, I will visualize step by step how I want my dive to go before I even get in the water. When I am in my dive, if I find myself getting tense, I say a little mantra or sing a song in my head, and that helps me relax again. Different things work for different people, but some type of visualization will help before and during your dives. You don’t need to have the best freediving gear to be able to enjoy your underwater playground. Beginner freedivers will most likely have scuba fins or short fins and that will work fine as a beginner diver. I would however suggest a few items that will make your dives a lot more comfortable from the start. A low volume mask would be a great first purchase. Scuba masks are much bigger and are difficult to equalize when you are diving. With a low volume mask, it will be much easier to equalize as you go deeper and is also much more flexible and comfortable. 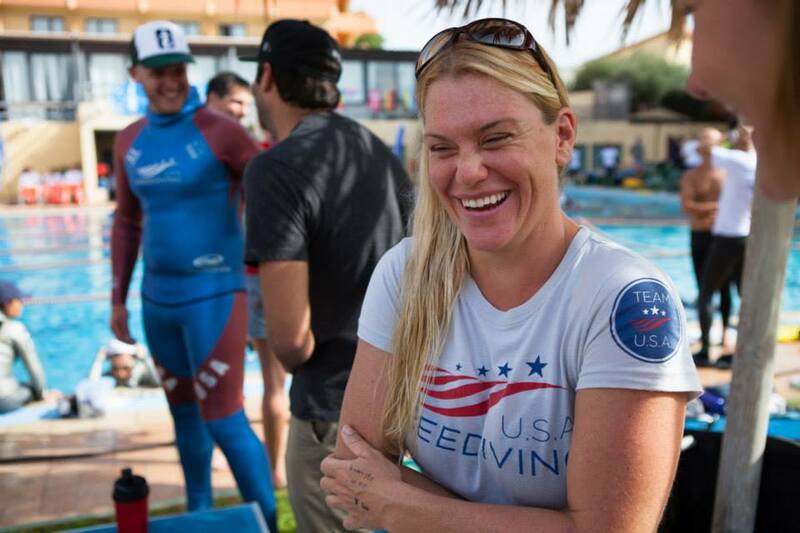 As you fall in love with the sport, you will begin to invest in other freediving gear such as a two-piece wetsuit, long blade fins, a rubber weight belt and a dive computer. For now, use what you have to begin your freediving journey! Learn from everyone you can. 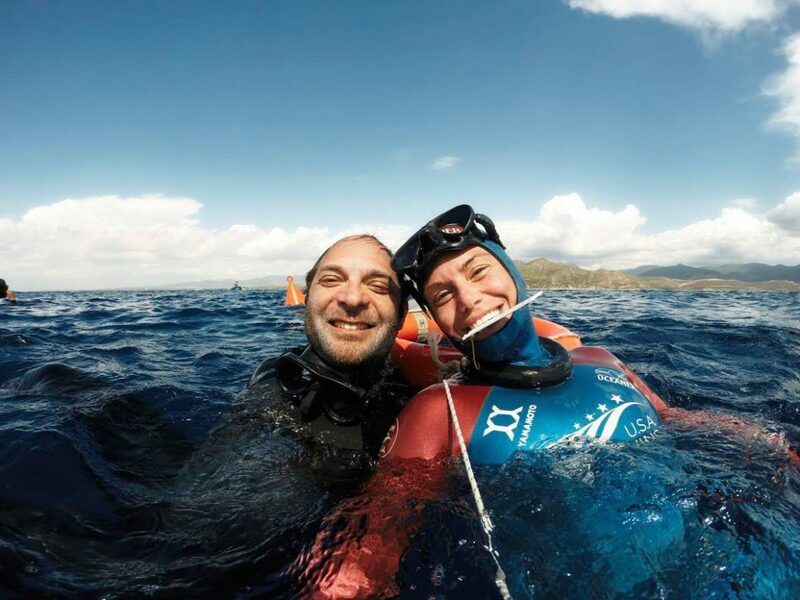 Remember, freediving is for everyone! You don’t need to be an athlete to enjoy freediving. The sport is more about relaxation, mind set and technique, than it is strength. Your goal is to connect with the water and enjoy all the feelings and sensations. Underwater on one breath is a great place to be, appreciate every minute of it and happy diving!